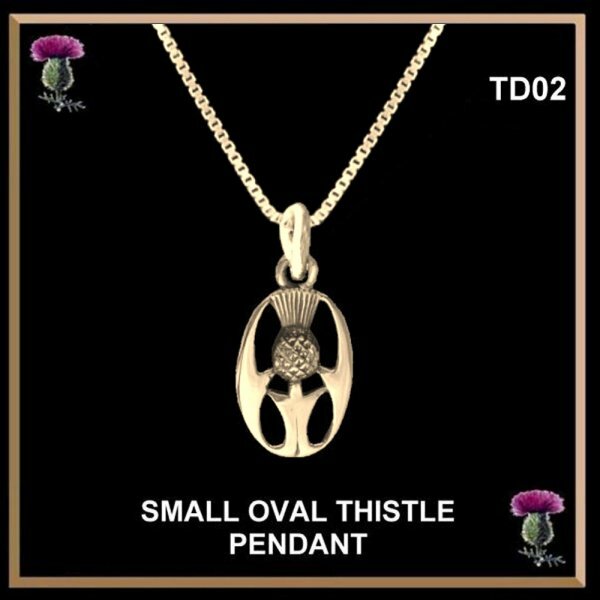 The thistle has long been the emblem of Scotland and this small oval stylised thistle design showcases the beauty of Celtic tradition and its fine artisan craftsmanship. Beautifully handcrafted in our Studio from fine sterling silver, this lovely thistle is the perfect design to wear every day. These would also make the perfect gift for a young Scot. 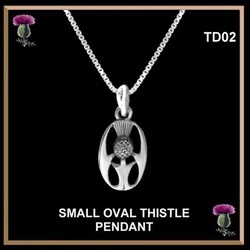 Wear one piece or the matching set, this small oval thistle is the perfect way to display your Scottish heritage. We can custom make this design for you in 10 0r 14 karat gold. Please inquire on pricing. Beautifully handcrafted from fine sterling silver, this simple thistle measures 11/16" by 1/2" (17mm x 13mm). The pendant includes an 18" high quality chain. 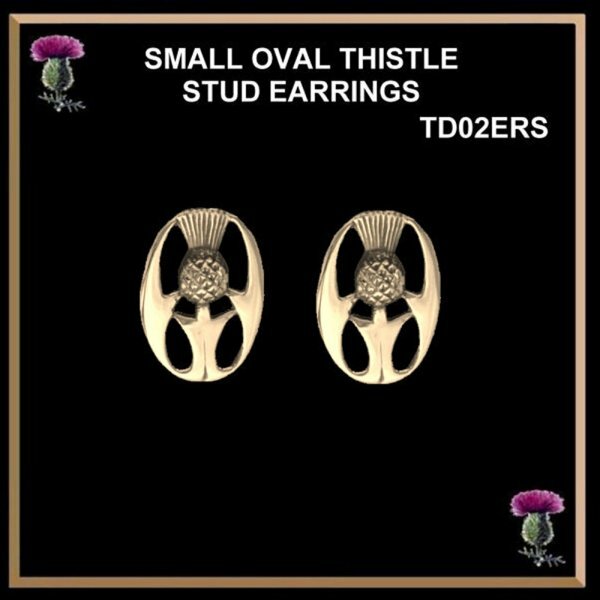 Exquisitely handcrafted from fine sterling silver, these oval thistle measure 11/16" by 1/2" (17mm x 13mm). The total length of the earrings from the top of the hook is 1-5/8" (42mm). 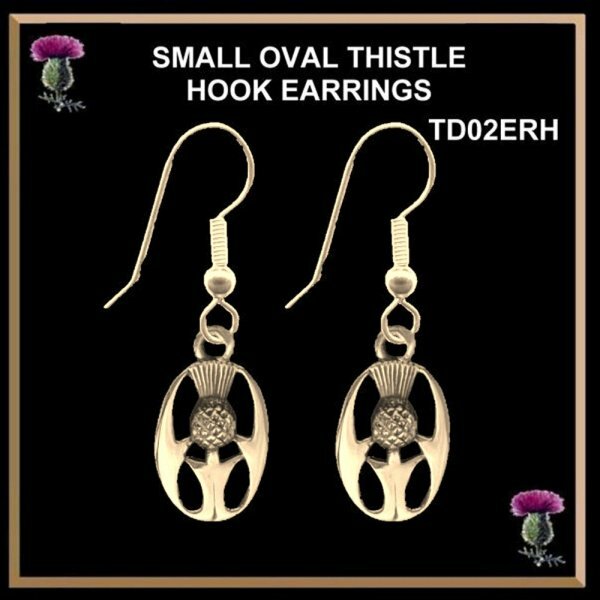 Our handcrafted small oval thistles are cast from fine sterling silver and measure 11/16" by 1/2" (17mm x 13mm). These have sterling silver posts and backs.